Objectives: To assess the dietary intakes of Irish community-dwelling elderly individuals, participating in the ELDERMET project. Design: Cross-sectional study. Setting: Cork city and county region of southern Ireland. Participants: Two hundred and eight (94 males, 114 females) community-dwelling subjects aged 64-93 yrs. Measurements: Dietary intake was assessed using a validated semi-quantitative food frequency questionnaire (FFQ). Anthropometric data were recorded. Nutritional status was assessed using the Mini Nutritional Assessment (MNA). Results: A high rate of overweight/obesity was observed in this population group. Consumption of energy-dense, low-nutrient foods was excessive among this population group. Older elderly subjects (≥75 yrs) consumed significantly (P<0.01) more desserts/sweets than younger elderly (64–74 yrs). Intakes of dietary fat and saturated fat were high while dairy food consumption was inadequate in both males and females. Elderly females typically had a more nutrient-dense diet than males. 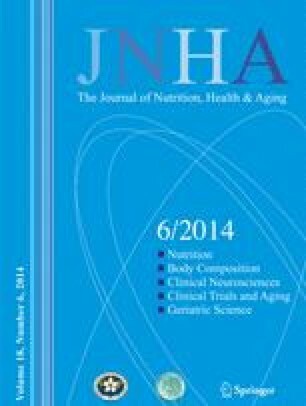 A considerable proportion of subjects, particularly males, had inadequate intakes of calcium, magnesium, vitamin D, folate, zinc and vitamin C. Conclusion: The data indicate that the diet of Irish community-dwelling elderly individuals is suboptimal with respect to nutrient intake, and excessive in terms of fat intake, with implications for the health status of this population group. Reductions in dietary fat and increased low fat dairy food intakes are recommended for the prevention of diet-related disease in older persons. In addition, strategies to improve a number of sub-optimal micronutrient intakes need to be developed and implemented, particularly among elderly males.